Mass MoCA campus in North Adams | Photo Credit: ©Find. Eat. Drink. Chef Alexander "Sandy" Smith is the chef and owner of Gramercy Bistro, located on the Mass MoCA campus in North Adams, MA. The bistro serves locally-sourced New American cuisine. In 2015, Smith took over the shuttered Mohawk Tavern, which is also in North Adams. The tavern was first opened in the 1930s, but closed in 2013. Smith kept the original bar and restored the space adding new stained glass, air conditioning and flat screens TVs. "We create well-executed classics, that might have a new approach or are just as you remembered. It is about global classics sourced locally." "It's a neighborhood bar with a jukebox, pool table, and dart board. We have craft beer on tap and a small wine program." 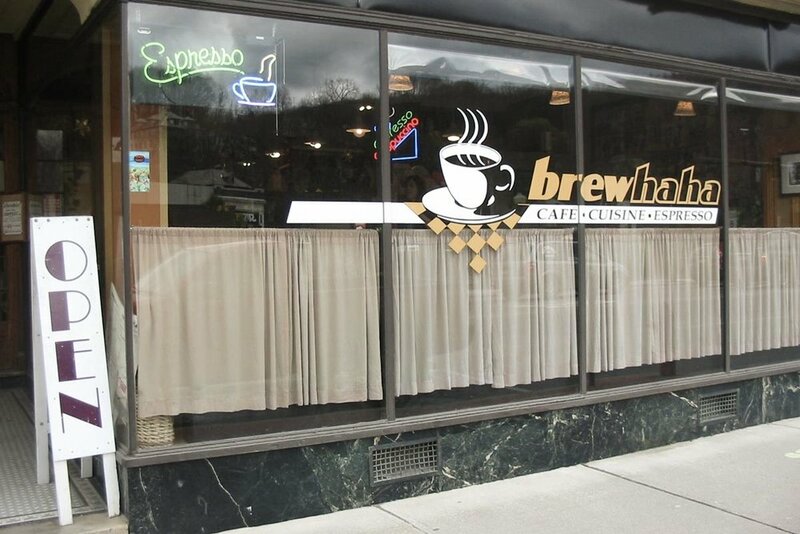 Wake up to a latte, a Cubano, or an Espresso Con Panna (with fresh whipped cream) at this coffee shop in downtown North Adams. "They have great coffee and awesome breakfast sandwiches." This market is open from June to October and sells everything from fresh produce to flowers to baked goods to skincare products. In addition, you can enjoy live music from 10am to 12pm. "There are two vendors that I really like, North Yeast Bakery and Many Forks Farm. Make sure to get pastries from North Yeast Bakery." This market is open from May to October. The vendors sell local products, soaps, ciders, cheeses, and prepared foods. "Peace Valley Farm have the best cherry tomatoes and leaf lettuce." This market opened in 1982 and has been providing its members and the local community with fresh produce and organic groceries ever since. "This is just funky and cool, and great for vegetarians too." An old school restaurant serving classic American food at affordable prices. This stand has been around since 1917. "It's the real deal of a blue collar hot dog and hamburger hole-in-the-wall kind of joint." Try one of their 18 flavors of hard ice cream or 38 flavors of soft-serve ice cream and soft-serve frozen yogurt, from Moose Tracks to Tutti Frutti to Orange Pineapple. "A rainbow of flavors, pick what you like and they do frozen yogurts too." Located in the shadow of the Mass MoCA museum, stop by this brewery after you visit the Sol LeWitt paintings. "It's local, fresh beer and I really like the pale ale." Summer Tomato Salad @ Mezze | Photo Credit: ©Find. Eat. Drink. New American cuisine cooked by chef Nick Moulton highlights local artisans and independent farmers. Owner and Beverage Director Nancy Thomas has co-authored a few cocktail books, so make sure to check out their bar list. "All the food is really great here and their menu is constantly changing."